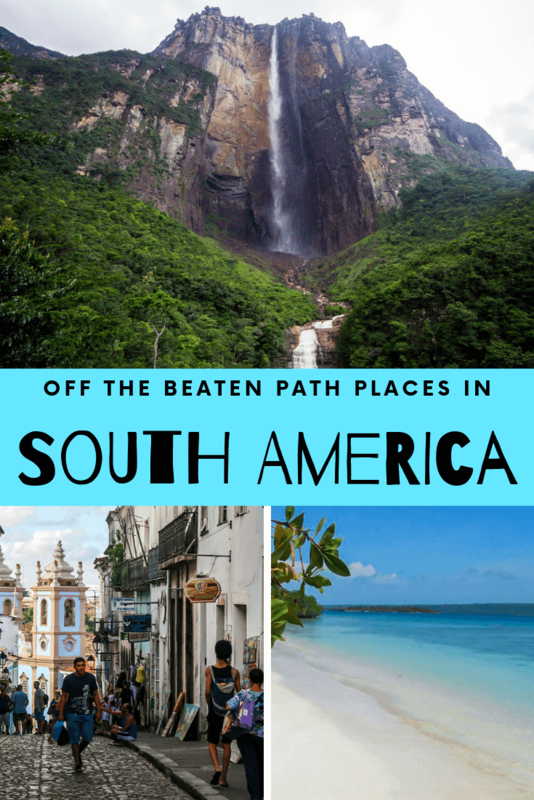 South America is home to some incredible off the beaten path travel destinations. There are hidden gems to be discovered in popular countries like Argentina, Brazil and Peru, while the majority of places remain relatively undiscovered in lesser-visited countries such as Guyana, Suriname and Venezuela. Getting off the beaten track in South America allows you to escape the crowds found at hotspots like Machu Picchu, whilst giving you a more authentic experience of the local culture. There are plenty of brilliant spots around the continent that are yet to be discovered by tourists, but with so many to choose from it’s hard to decide which ones to visit. 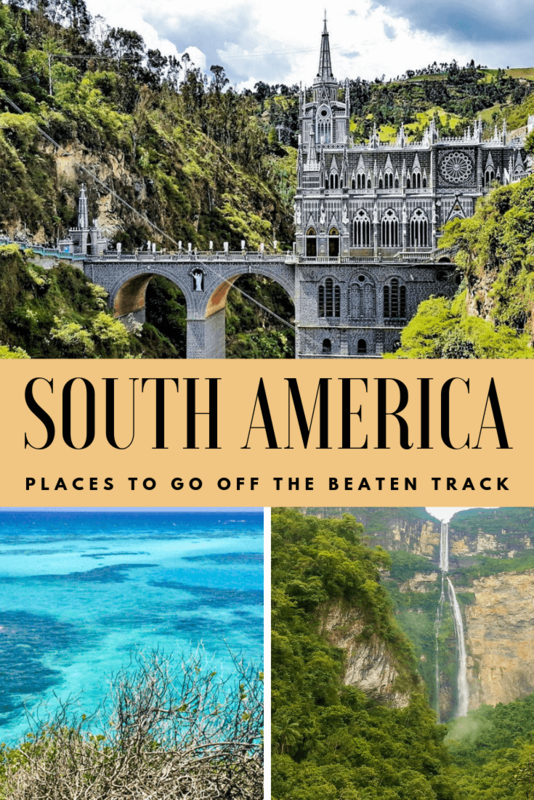 To help you out, we asked 23 travel bloggers for their recommendations of the the best off the beaten path destinations to visit in South America during 2019! Perhaps the most underrated province in Argentina is coincidentally my favourite: the northwestern province of Jujuy. This high-altitude mountainous desert province borders Bolivia and the culture is much more similar to its northern neighbour than that of bustling Buenos Aires. This region is popular with local Argentine travellers and a handful of backpackers, but I believe it should be at the top of everyone’s Argentina itinerary. Many travellers visit Jujuy erroneously thinking they’re still in the neighbouring province Salta. 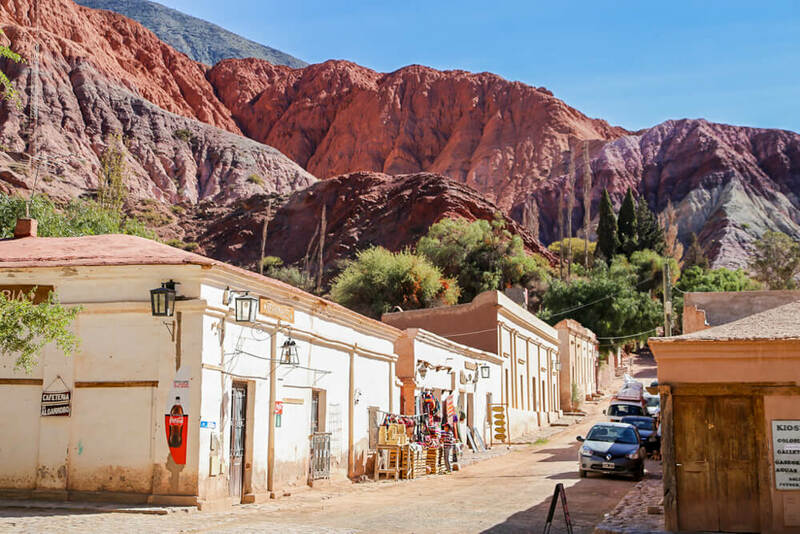 It’s most common to visit only on a day trip from the city of Salta, stopping off at the village of Purmamarca on the way to the more famous salt flats. However, there is so much to see in Jujuy that the province deserves much more than a one day jaunt. The villages of Purmamarca, Tilcara, Maimara, and Humahuaca are all so picturesque they look like they’re pulled straight from a postcard. The dusty streets are lined with old buildings, most with vendors selling gorgeous woven handicrafts. This red-earthed gorge is filled with colourful mountains. Two in particular stand out: Purmamarca’s 7-Coloured Hill and Humahuaca’s 14-Coloured Mountain (rivalling Peru’s famous coloured mountain in beauty). The small town of Iruya is a trek to get to, as it clings to the mountains at a very high altitude (bring your cocoa leaves!). Spend a couple of nights watching the condors fly overhead in Iruya – you won’t regret it. Also, the food. The food in Northwestern Argentina is the best the country has to offer. Warm, hearty stews with lamb or llama meat and grains like quinoa are common. But the star of the show is the empanada. The empanadas in Jujuy and Salta alone are worth the flight! So, if you’re looking to get off the beaten track in Argentina, look no further than Jujuy. Iguazu, Mendoza, and Patagonia are all stunners, but the beauty of Jujuy is incomparable. Click here to check out the accommodation options in Jujuy! Puerto Pirámides is a tiny coastal town located in the Chubut Province on the rugged Valdez Peninsula of Eastern Argentina. It is easily reached by car, and is just 45 minutes from its biggest neighbour, Puerto Madryn, and one and a half hours from the nearest airport in Trelew. The two street town hugs the coastline around an enormous, easily accessible beach. The small town features a tiny tin church, a few small but well stocked shops, a couple of family run bakeries selling delicious sweet treats, and several good restaurants, a couple of which overlook the beach offering sweeping views of the ocean with breathtaking sunsets. There are a number of accommodation options in the town whatever your budget. As the only town on the whole of the Peninsula, sleepy Puerto Pirámides feels a little isolated and off the beaten track. It is predominantly used as a base for exploring the wild scenery and diverse wildlife of the Valdez Peninsula. There are wildlife spotting opportunities within the vicinity of the town itself particularly the sea lion colony, which is just a few kilometres walk away. You may also spot guanacos, rheas and penguins during your stay. Puerto Pirámides also has a reputation as one of the best places in the world to see Southern Right Whales. From June to December well organised trips commence early in the day direct from the town beach. In summer season, the population of Puerto Piramides (only a few hundred people) swells with tourists visiting solely for this purpose. Boat trips do not run if it is very windy but it is also possible to see whales (including orcas) from the beach – so remember to pack your binoculars! We took a half day trip on a perfect summer day and were lucky enough to see a Southern Right whale pod not far from the shore. The pod included a mother with her inquisitive, newborn calf who swam under and around our boat. The whales approached much closer than we ever expected them to and were also a lot bigger than we had expected! We were fortunate enough to be treated to breaching and tail slapping displays; it was a once in a lifetime experience for our family. 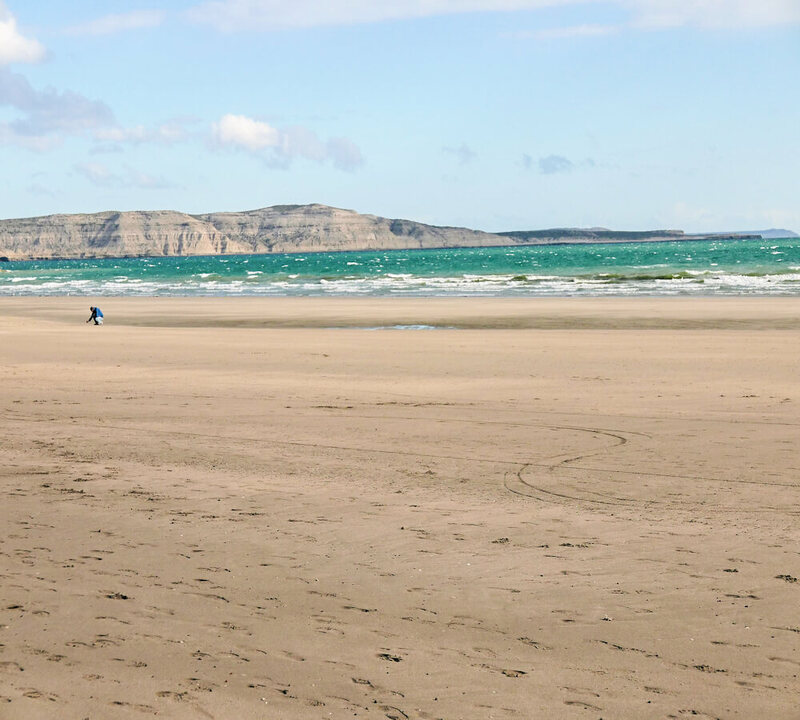 Puerto Pirámides has an expansive, clean beach which, once the tourist buses have departed, is deserted. The beautiful, unspoilt beach is best visited at sunrise and sunset to enjoy the peace and solitude as well as the contrast of colours of the beach, the high sand dunes and sand cliffs surrounding it and the blue ocean. The beach is ideal for beach combing and we found some great fossils here. Though many people pass through this tiny, friendly town we enjoyed our few, slow days here walking, wildlife watching, playing on the beach and experiencing small town life in Argentina. Click here to see the accommodation available in Puerto Piramides! Contribution by Map Made Memories. 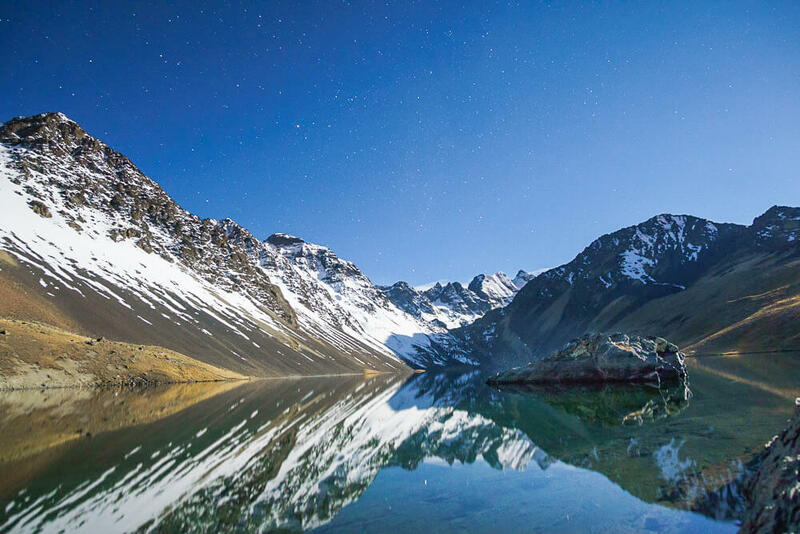 Many of the world’s best hiking destinations are becoming too popular for their own good, but Bolivia’s Cordillera Real (or royal range) remains an off the beaten path gem in South America. Nestled in the ancestral home of the Aymara Indigenous peoples, the sprawling Altiplano region that stretches down almost the whole length of the continent, the 125 kilometre Cordillera Real begins southeast of the shores of Lake Titicaca, extending to just east of the Bolivian capital city La Paz. Trekkers seeking tremendous views of staggering 5,000+ metre glaciated peaks, jewel-toned lakes, as well as solitude as they walk, need look no further than the Cordillera Real. Trekkers should spend a few days acclimating in La Paz, which is at an altitude of 3,650 metres, before heading to the Cordillera Real, as most treks will be at an elevation of 4,500 metres or more. Hikes can be arranged in La Paz, and range from day trips up the 5,300 metre Pico Austria to a full TransCordillera traverse, which takes between 17 and 20 days. One of the great things about hiking here is that, unlike other regions, you don’t require a permit to do so. Treks can be completed both with or without a guide, but going with a guide is recommended as the trails can be very faint and remote. 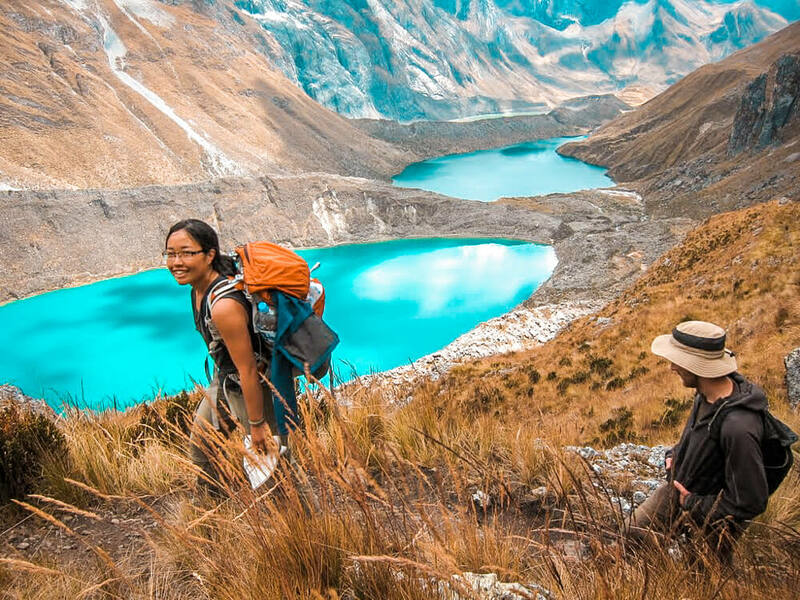 One of the best ways to experience trekking in the region is to pick up a guide in La Paz and head to Laguna Khotia where you can begin hiking over the course of 5 days to the base of Huayna Potosi at 6,088 metres. This impressive mountain can be seen from La Paz’s neighbouring city, El Alto, and is the perfect place to try mountaineering for the first time. The glaciated summit can be reached with the help of a licensed guide and is perfect for hikers looking to challenge themselves with more complicated terrain and higher elevations. Having hiked in the Cordillera Real during the days prior, trekkers should be acclimatised for the summit, and the views from the peak at sunrise are simply breathtaking. With scenery as incredible as this, the Cordillera Real may not be off the beaten track for long. Click here to see the accommodation options in La Paz – the starting point for exploring the Cordillera Real! When someone mentions the Amazon, Bolivia is definitely not the first country that comes to mind. However, the North-Eastern part of the country encompasses a quiet portion of the Amazon River basin. If you’re looking for an off-the-beaten-track Amazon experience, Madidi National Park in Bolivia is the place to go. All the typical things you’d expect to find in the Amazon can be found in Madidi. However, because it’s far-flung there are fewer people there, making it a more intimate experience. Arriving in Rurrenabaque is exactly what I imagined when I think about the Amazon! The plane taxis down a palm-tree lined dirt path to the airport, which is a small hut lined with mosquito netting. On the way into town, capybaras and caiman (small crocodiles) can be seen along the side of the road. Madidi National Park offers a wide variety of activities, many of which are offered at the different lodges. 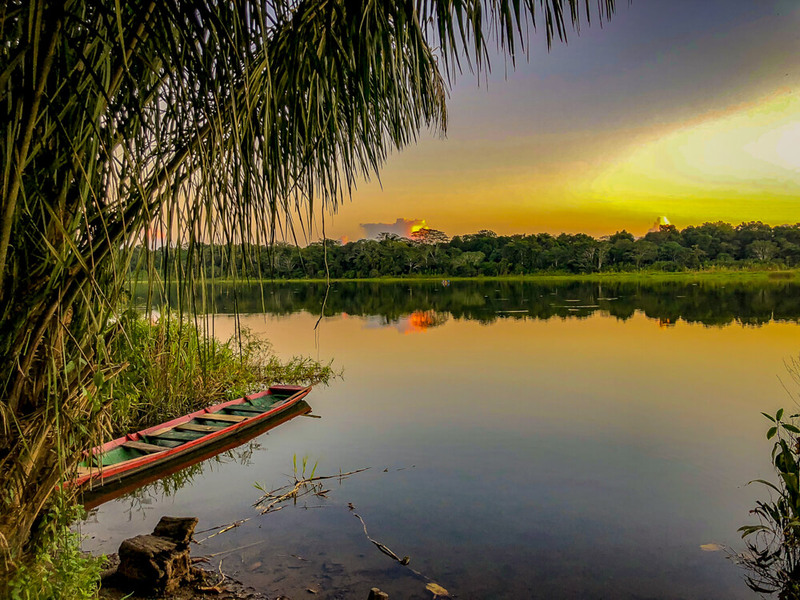 You can head out early in the morning to watch the Amazon wake up, spotting tarantulas, tapirs and monkeys as well as many different birds and insects. Or venture out after dark for a night walk in the jungle (or do both!). Between jungle walks you can enjoy a boat ride, piranha fishing, even craft making with nuts and seeds collected from the forest. There’s enough to keep anyone busy for at least a couple days (I’d suggest a minimum 3 night visit). When you visit Madidi National Park there are a number of tour options to choose from. The tours start and end in Rurrenabaque. If you’re short on time, it’s possible to book in advance or in La Paz. If you have a bit of flexibility, you can take your chances and just show up in Rurrenabaque and find a tour upon your arrival. We chose to book with Serere Eco Lodge as it came highly recommended. It lived up to the recommendations and we had an incredible time. My only regret is not also visiting the Pampas when we were so close. So, if you’re heading to Madidi, consider a few days in the Pampas as well! Click here to check out accommodation options in Rurrenabaque for your Amazon adventure! Contribution by Where is the World? 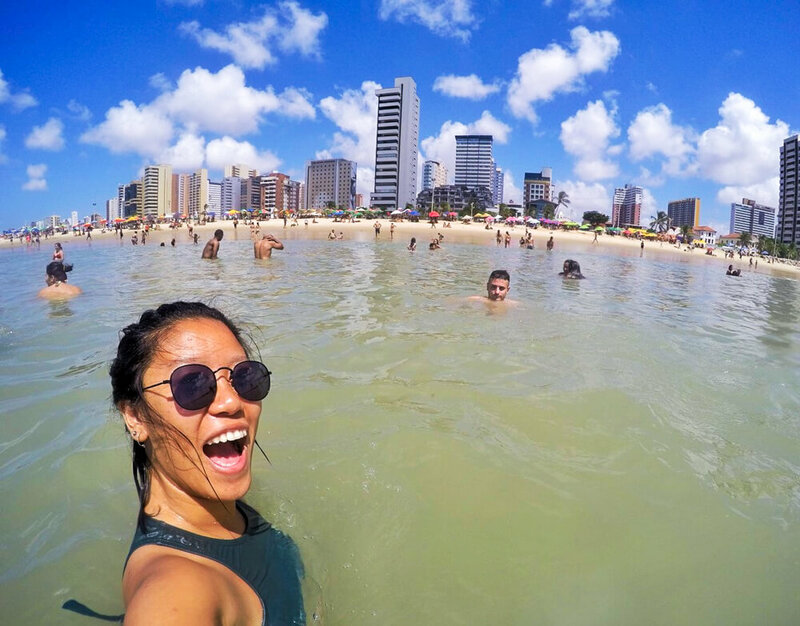 If you go to Brazil, Fortaleza is not the first place that will pop in your head, especially if you want to enjoy the beach. Most people’s first thought is the iconic city of Rio de Janeiro. However, if you are looking for somewhere less touristy with a local vibe – Fortaleza is the place for you. When walking along the beach, there are a lot of bars and restaurants for those wanting to eat or drink. Some of the bars even have live bands if you’re looking to dance. One of the most popular bars is Pirata Bar. If you are into tanning, simply bring your beach towel, apply plenty of sunscreen, and enjoy the day without worrying that you will have a hard time finding a quiet spot. Another thing that I really love about this place is how you can easily walk around and no one will bother you or try to sell you anything, you can just enjoy your walk and admire the city in peace. If you are on a budget, Fortaleza is a great place. There are many budget-friendly accommodations that are as cheap as $6 per night for a hostel bed or $12 per night for a private room. There are plenty of hostels in Fortaleza to choose from and they are mostly well-located. Food can be found in every corner of the streets. Buffet style places are very popular, where you fill your plate whatever you want and the price is determined by its weight. A popular day trip from Fortaleza is to Jericoacoara – a small beach village with large sand dunes. The beach is said to be one of the nicest in the country, and the large sand dunes are great for watching the sunset over the sea. If you are planning to explore other parts of Brazil, Fortaleza airport has plenty of domestic flights and even flights to Colombia, Argentina or directly back to Europe. Click here to see the great accommodation deals available in Fortaleza! Contribution by A Mary Road. During the 6 months we traveled in South America, there’s no doubt that the most amazing off the beaten path place we visited was the spectacular Lençóis Maranhenses National Park in Northern Brazil. Lençóis Maranhenses is a very special desert to visit in Brazil, where during the wet season rainwater gets accumulated between the sand dunes. This results in a variety of blue and green freshwater lagoons. It’s hard to imagine a more surreal landscape than this place; we found it almost unreal when we first saw it. In addition, the beautiful desert of Lençóis Maranhenses is not a place where you will have to deal with a lot of tourists around you. Since the access to this park is quite difficult, you will probably swim alone in these lagoons. 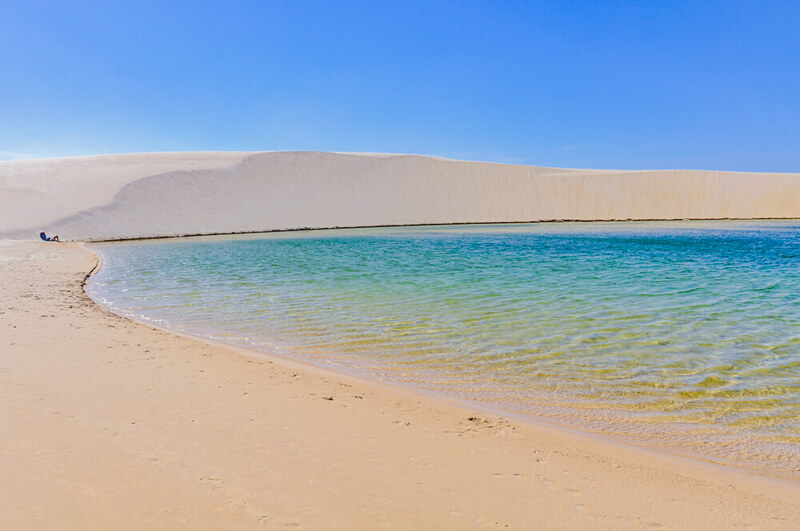 You can get to the Lençóis Maranhenses National Park from Jericoacoara after an epic journey, which will take you to Barreirinhas, the entrance town to the park. You can take a jeep tour from Barreirinhas to explore the park, but we recommend you get to the small coastal village of Atins. From there you can hire a guide to do a multi-day hike in the desert, and you can spend a night in an oasis in the middle of the desert. Be warned that hiking in the desert is quite tough. Even if you leave at 4am in the morning, being close to the Equator you will already have the sun over your head by 8am, and there’s no shade to hide from the sunlight. The only way to get refreshed is by taking a dip in all the lagoons along your trail. After the trail, the reward is spending a night in the middle of the desert, where only a bunch of families live. Click here to check out the accommodation available in Barreirinhas – the perfect spot from which to explore the park! Contribution by Surfing the Planet. If you’re thinking of visiting Brazil, be sure to check out Salvador. After backpacking South America for more than 4 years it has become one of my favourite locations. One of the highlights of Salvador is the Pelourinho district. It’s listed as a UNESCO World Heritage Site and I can guarantee it will leave you in complete awe. The lush colours painted on the buildings are an example of some of the finest inspired Portuguese architecture. 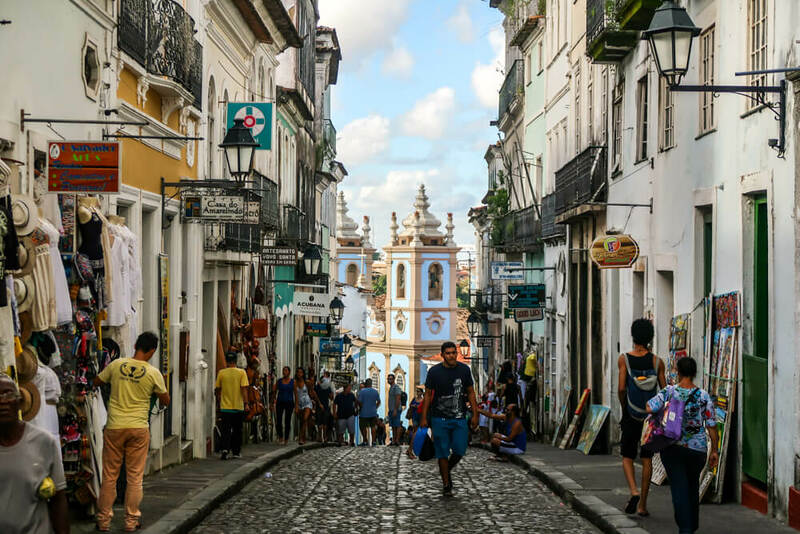 Pelourinho is the historical centre of Salvador, and is a great place to learn about the area’s African culture – including its history, art and music. It’s one of the ultimate places in Brazil to discover African heritage. As you walk around you will encounter a wide variety of bars and restaurants, with the night being a melting pot of live music. Like the idea of getting down with a groovy upbeat carnival type music? Well, this is definitely the place to get involved. One of my favourite and most unique features of this area is the opportunity to connect with local people. The locals are happy to let you explore their artwork and will help you to choose the right gifts to suit your needs. If you can, try to get down to Pelourinho on a Tuesday night. You’ll be able to enjoy the lively party atmosphere on the cobblestone streets. It’s an open street party; so everyone is invited to celebrate. Remember South America is a large continent. It has so much to offer and there are so many amazing places to visit in Brazil for the adventurous traveller. If you can, try to plan your trip to Pelourinho district well ahead of time as the accommodation can fill up quickly. Click here to check out the great accommodation options in Salvador! A five-hour plane ride from Chile’s capital city, Santiago, Easter Island is one of the most remarkable places to visit in South America to avoid the crowds. Despite the remote location, some visitors only spend one day there. Instead, it’s a much better idea to spread your sightseeing over a couple of days as there are lots of things to do on Easter Island. The best way to explore the island is by renting a car, motorbike or ATV, or pre-booking a tour. One of the main attractions on Easter Island are the mysterious moai – tall stone statues with large heads. These impressive structures were made between the years of 1250 and 1500, but there are still unanswered questions about them. Firstly, why were they made? Secondly, considering their massive size and weight, how were they transported around the island? The history is still unknown. To find the restored moai on the stone platform, check out Ahu Tongariki, Rano Raraku, Ahu Akivi, and Anakena Beach. You’ll also see additional impressive moai scattered throughout the island. If you’re looking for other activities, head to the beaches to relax and enjoy the sunset. If the weather is warm, consider taking a diving tour and/or go snorkeling in the sea. Other adventures include finding hidden caves (best to arrange a tour so you don’t get lost) or hiking. One of the best experiences that we had was eating fresh seafood. With the easy access to the ocean, restaurants serve a lot of delicious tuna and ceviche. Go to the Hanga Roa downtown area to find a place to eat. We recommend ‘Club Sandwich’ for their delicious burgers. If you need a snack, try the fried empanadas. The huge empanadas are stuffed with meat, tuna, or vegetables with cheese and are very tasty. 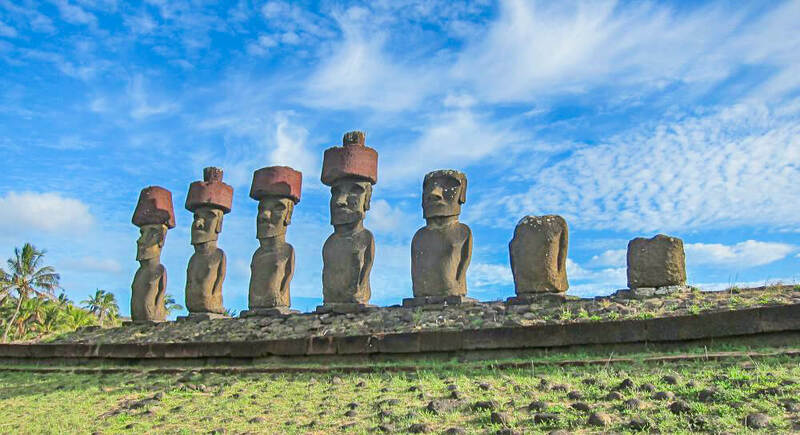 If you’re looking to get off the beaten path in South America, definitely add Chile’s Easter Island to your travel bucket list. Click here to check out the great value accommodation in Hanga Roa on Easter Island! Punta Arenas, in Southern Chile, is the kick-off point for travellers ready to cruise Cape Horn and the Straits of Magellan. It’s a town with a unique history. It was once an obligatory stop-off point for ships travelling between the Atlantic and Pacific oceans. Ships docked there to load and unload passengers and cargo. The town prospered until 1914, when the opening of the Panama Canal cut transit time between the oceans by 8,000 miles and Punta Arenas’ fortunes declined. You can still see many traces of the city’s past splendour. It is evident in the city’s buildings and parks, but especially its local cemetery, the Cementerio Municipal de Punta Arenas Sara Braun – an especially interesting repository of Punta Arena history. It has been ranked as one of the most beautiful cemeteries in the world and declared a National Monument of Chile. The cemetery was named after Sara Braun, a Latvian immigrant who traveled to Punta Arenas in the early 1900s. She eventually became the richest woman in Patagonia through shrewd investments and advantageous marriages. She donated the land for the cemetery and dictated that after her death the main doors of the cemetery were to be sealed forever. To this day the only entrance to the cemetery is through the side door. The ships that cruise Cape Horn, the Straits of Magellan, the Beagle Channel and the waterways Tierra del Fuego leave from Punta Arenas. Through these waters you can travel the same places explored by Ferdinand Magellan as he circumnavigated the globe and Charles Darwin as he researched the region on his ship, The Beagle. 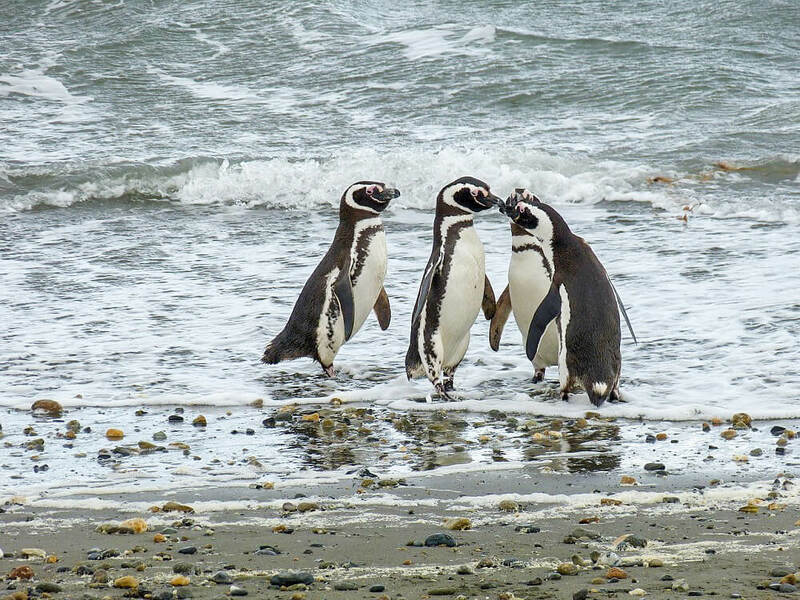 Click here to check out the accommodation options in Punta Arenas! Contribution by Travels with Talek. Yet to be listed in Lonely Planet or make it onto most travellers’ itineraries, the town of Jerico in Colombia is a terrific place to break away from the crowds. Located at the tip of the coffee belt in the Department of Antioquia, about 100 kilometres south of Medellin, Jerico is a small community of around 12,000 people. It’s a popular destination among local visitors (especially on holidays); but despite its accessible location and proximity to coffee country, Jerico remains relatively untouched by tourism. Jerico’s main draws include a delightful Spanish-style square with a grand cathedral and cafes, bars and restaurants around its perimeter. The town’s suburban streets are filled with yet more cafes, bakeries, sweets shops, and handicraft boutiques. Religion is a big deal in Jerico, and there are no fewer than 17 Catholic churches in town (a huge number considering the population). Church bells ring out 24 hours a day. Starting from the Botanical Garden, you can take a path to the top of a hill in the city centre where a statue of Christ looks out over immaculate views. Las Nubes, a popular trek that originates in the town, is signposted with the Stations of the Cross. 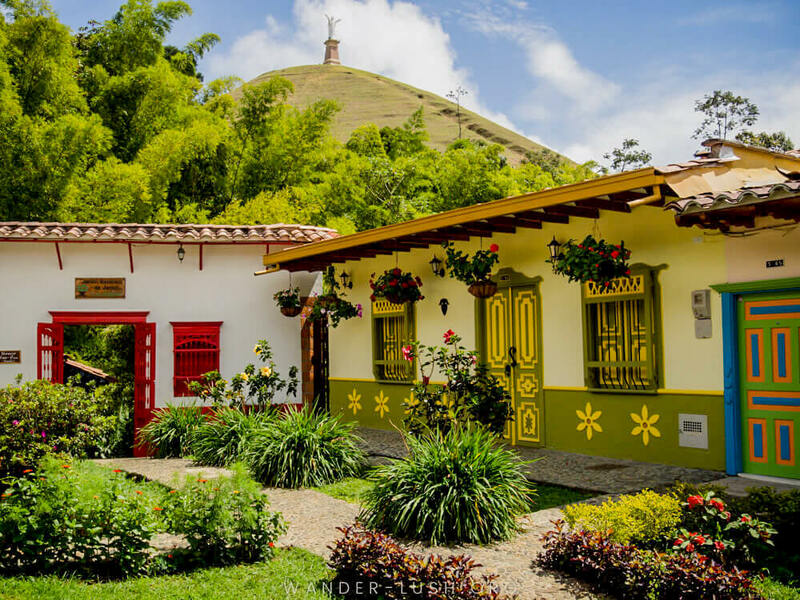 You’ll also find a house museum dedicated to Santa Laura—Colombia’s first Saint, who was born in Jerico. Outside the city, nature takes precedence, and visitors can enjoy coffee farm tours and paragliding among other activities. But the best thing about Jerico (in my opinion) isn’t an attraction or activity: It’s the feel of the place. Cool, calm and collected, Jerico is the kind of town you want to stay put in for a while (trust me, we stayed for a week after planning for only a few nights). 2019 is the time to visit Jerico before it becomes the next big thing. The town can easily be reached by bus from Medellin in just under three hours. Click here to see the best accommodation options in Jerico! Out of many places we’ve been to in South America, Las Lajas sanctuary in Colombia was one of the biggest surprises. We heard about this place and on our way from Ecuador to Colombia decided to stop there. The sanctuary is located close to the Colombia-Ecuador border, near Ipiales town. Laja in Spanish means “slab” – a type of flat rock that can be found in the area. The church was built in the canyon of the Guaitara river between 1916 and 1949 in the Gothic Revival architectural style. It was built on the place of the alleged apparition of the Virgin Mary. According to the legend, in 1754 a mother and her deaf-mute daughter were caught in a terrible storm and were hiding between massive rocks (Lajas). All of a sudden the daughter pointed to the rock and said that the Virgin just appeared there in the lightning. The image on the stone can be still seen nowadays inside the church. Following this story, the area became a point of pilgrimage. There was previously a small chapel on the area before the current sanctuary was built. Some people report about miraculous healing after visiting Las Lajas. In front of the church there is a wall with metal plates that people put there if they got healed. Besides the sanctuary you can visit a beautiful waterfall as well as go horse riding or hiking along the canyon. The scenery around Las Lajas is breathtaking. In order to get to the sanctuary you can take a cable car or walk down. The cable car ride offers fantastic views over the canyon and sanctuary. 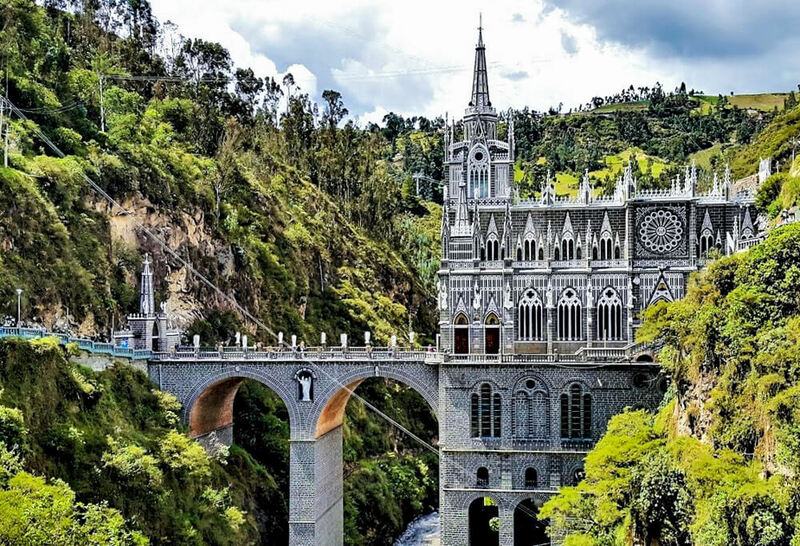 A stop at the Las Lajas Sanctuary is the perfect addition to your Colombia itinerary if you want to head south to Ecuador by land. If you’re looking for an off the beaten path South American destination, then you can’t get more off the beaten track than Providencia Island. 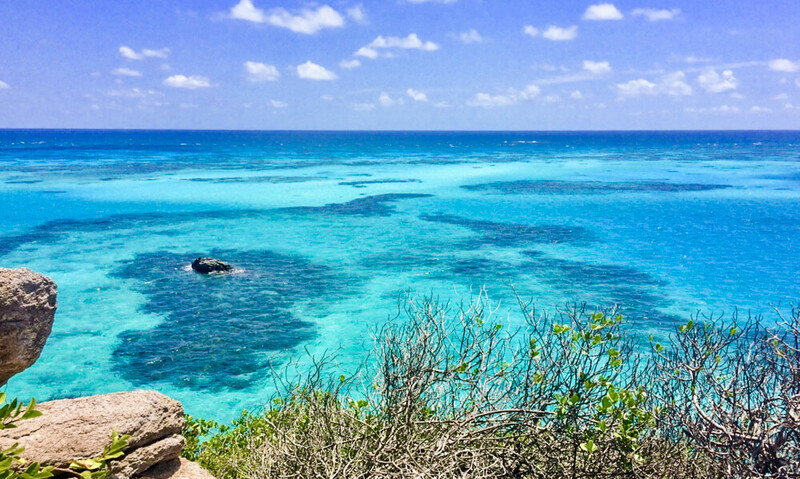 Providencia is home to the clearest blue seas I’ve ever seen – it’s why the sea surrounding the island is also called the Sea of Seven Colours. The island is famous for scuba diving, its beautiful white sand beaches, and just generally being a gem of an island. It’s a bit of a trek to get to, but that’s how it retains its non-touristy beauty. You’ve got to fly to San Andres first (the cheapest flights are generally from either Santa Marta or Cartagena), and then take another small flight – or a catamaran – over to Providencia. This extra leg means that only the serious people visit, as the return journey from San Andres costs around $200 USD extra per person. But, in my opinion, it’s totally worth the extra money. The highlight for me was the day trip to Cayo Cangrejo (Crab Cay), the small island that’s also part of the National Park. You can hike up to the top of the island to get the most amazing panoramic view of the Sea of Seven Colours. There’s also a really fun atmosphere at night as there are a few laid-back cocktail bars. La Sirenita (meaning ‘The Mermaid’ in English) is a super chilled beach bar where you can soak in the sunset while sipping on their signature strawberry pina coladas. After that, if you feel like carrying on the party, head to Rolands Bar for more bonfires, coco locos, and often live music too. It’s not just the beautiful sea and white pristine beaches that makes this island so special – the people are also incredibly friendly too. As it used to be a base for English pirates, the language is mostly English (not Spanish) which makes it even easier to visit if you’re a Westerner with little Spanish! So if you fancy enjoying the slow island pace with some pristine white beaches, turquoise sea, and welcoming locals, head over to Providencia. But don’t tell too many people about it so it still keeps it’s authentic & non-touristy vibes! Click here to check out the accommodation options on the beautiful Providencia Island! Contribution by Hats off World. Ecuador is a country that people often choose to rush through. They either land in Quito and fly to the Galapagos or they cross overland from Colombia, spend a few days in the eco-adventure capital of Banos, a few more days on the beach and then for Peru. Despite being a small country, Ecuador has plenty more to offer than just those few spots. The colonial city of Cuenca is often overlooked, especially by those that have spent time in Quito. Cuenca is a pleasant city to explore on foot, and the city centre is listed as a UNESCO World Heritage Site thanks to its architecture. One spot not to miss is the beautiful Cathedral of the Immaculate Conception. The cathedral’s large blue and white domes can be seen from various spots across the city. While so many rush to get to ancient ruins in Peru, the Quechua culture thrives in Cuenca. It’s also a great base to visit the former Inca palace of Ingapirca and to hike in the Cajas national park, without any of the lines or costs of tourism in Peru. Cuenca is also a great spot to just relax and take it easy. Located in the Andes, there are a number of great markets serving incredible roast pork, fantastic bakeries, and if you need to get your teeth cleaned the city is known for being one of the best places in South America for dental work at an affordable price. 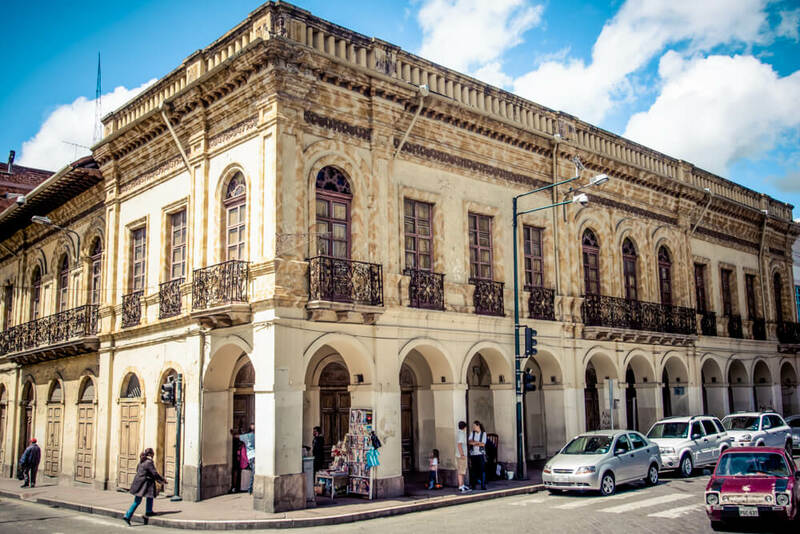 Cuenca is a city that Ecuadorians flock to and most tourists skip. If you want a true local experience spend a few days here to see what Ecuador is like without the crowds found in other spots around the country. Click here to find great value accommodation in Cuenca! Contribution by Bacon is Magic. On the southern tip of Ecuador, on the verge of Peru’s border, lies the village of Vilcabamba, surrounded by a breathtaking mountain range. This tucked away region is often referred to as the Valley of Longevity, based on the claim that many of its inhabitants grow over the age of 100. Many believe this is due to the clean air and pure water of the region. The nearby Mandango mountain, known as ‘the Sleeping Inca’, can be seen from the village, and is said to protect the area from earthquakes and other natural disasters. There is something mystical about the place which was once a much-coveted area of the Inca Royalty. In the middle of the village, facing the old colonial-style church, is the central plaza, where you can find a few good quality restaurants and boutiques. An off the beaten path destination, Vilcabamba attracts visitors seeking serenity and peace, as well as nature lovers who want to explore the magnificent bio-diverse Podocarpus National Park – one of the world’s few remaining pristine rainforests, which surrounds Vilcabamba. The park’s activities include hiking in search of waterfalls, spotting some of the 600 bird species or looking out for rare animals such as the northern pudu, the spectacled bear, the mountain tapir and even jaguars. Visitors can also explore the valley by horseback, an enjoyable activity in which to partake. A highlight of Vilcabamba is undoubtedly to stay at the exceptional Hosteria Izacaylhuma, somewhat of a five-star hostel run and built by Germans since 2001. The fabulous establishment is conceived to provide the ideal venue to relax and contemplate. The hosteria lives up to its many travellers’ choice awards with panoramic views from the dining area and extraordinary vistas from the Yoga Shala, which you can enjoy while taking your complimentary daily yoga class. Plus the property offers affordable spa treatments and massages, a refreshing inground pool overlooking the mountains and accessible hiking trails direct from the hostel. Staying at the Hosteria Izcaylhuma is a memorable and unique experience, and trust me you won’t want to leave Vilcabamba if you choose to stay here. 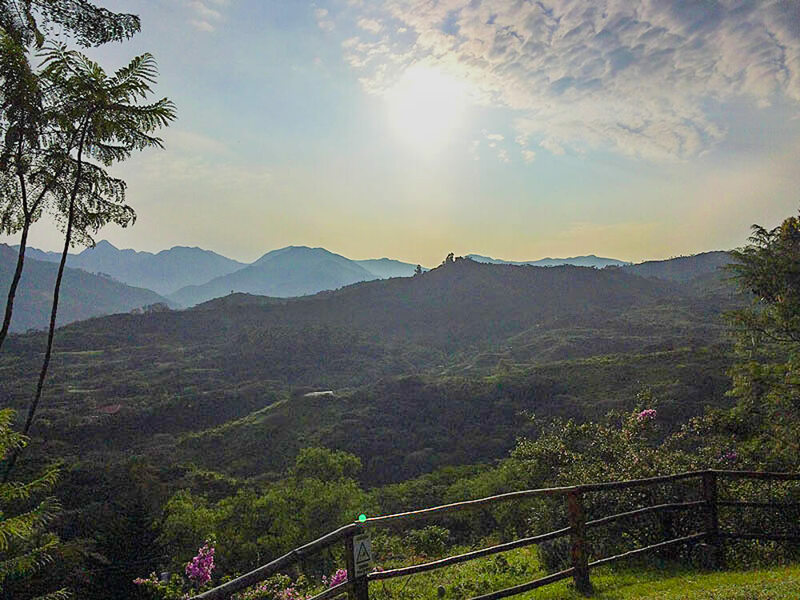 Accessible by a 3-hour shuttle from Cuenca or a bus from Loja, right upon arrival in the valley you’ll feel immediately at peace, as if the magical powers of Vilcabamba had been poured over you, cleansing all your worries away. Click here to see the accommodation options in Vilcabamba! The North Rupununi is one of the most beautiful yet isolated regions in South America. This part of Guyana can only be reached on a combination of a charter flight and a long boat ride along the river, or via a long journey by 4×4 from Georgetown, the capital of Guyana. Any effort to get there is quickly repaid by the incredible beauty of the place. In this part of the country, which is in the Amazon basin, nature is at its best. The silence of the thick jungle is broken only by the call of howler monkeys in the early mornings and late evenings, or by the occasional bird – this part of Guyana is fantastic for bird watching. Among the things to do in the Rupununi there is fishing – piranhas and vampire fish are caught to be eaten, whereas the beautiful arapaima (the largest freshwater scaled fish in the world) is caught and released. There are a few hiking trails, though be warned: the heat is very intense and hiking can be strenuous. Very few people live in the North Rupununi region, but they all make an effort to preserve their culture, identity and the environment they live in and its wildlife. They all speak English (the country’s official language), so it’s easy to communicate with them, and the fact that they are so welcoming helps! As this region is so isolated, travellers who go there have very few comforts. Solar panels and generators provide electricity, so there are no things such as air conditioners to get a break from the heat, or even hot showers (though they are hardly needed). Insects are a common sight, so mosquito nets are a must at night and wearing appropriate jungle clothes is a must during the day. Internet is impossible to catch, so visitors have no way of communicating with family and friends. It’s all part of the incredible experience, and all worth it to get to see such a unique place. Tucked away near the bottom of Paraguay is an often-forgotten piece of the early colonial history of South America. 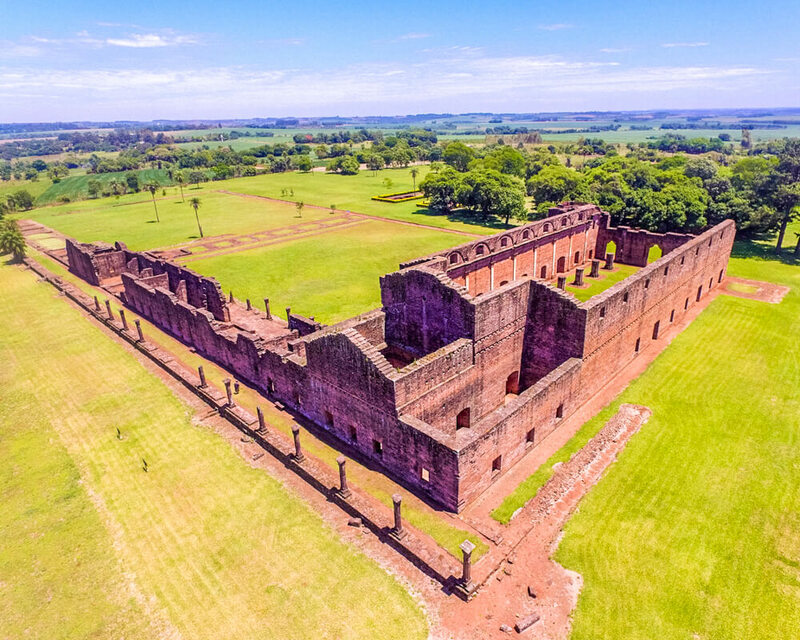 In the Itapua Department there are two incredible ruins of Jesuit Missions that were abandoned prior to the Brazilian invasion during the Paraguayan wars in the late 1700s. The Jesuit ruins in Paraguay are among the best-preserved missions in South America. The most impressive ruins that can be found here are those of Jesus de Tavarrangue and La Santísima Trinidad de Parana. The church of Reduccion de Jesus at Jesus de Tavarrangue would have been the largest of the churches in South America if it had been finished. At over 70 metres (230 feet) long and 24 metres (79 feet) wide, wandering through the ornate walls of this Jesuit church will make you feel small. Beyond the church are impressive factory rooms, watch towers, and more, all carved from beautiful rose-coloured stone. The grounds of Jesus de Tavarrangue are massive and wide-open. There are huge fields of grass between the building that were used as village gathering places. In fact, the size of the ruins are staggering. It’s hard to believe that all of this was built by the labour of untrained indigenous Guarani under the supervision of just two Jesuit priests. It is easy to combine both Jesus de Tavarrangue and La Santisima Trinidad to Parana into a single day trip. Both ruins are unique in their layout and are fascinating to explore. Getting to the Jesuit missions in Itapua means driving off the beaten path along route 6 from Encarnacion. If you are visiting from Misiones, Argentina, you can take the Parana River ferry across before making the drive. The entrances to the Itapua ruins are well-marked and have professional and friendly staff on site. The Apurimac River passes through the Apurimac Canyon (also called the black canyon) in the southern part of Peru, deep in the Andes. The canyon is a two-hour drive along a dirt road from Abancay, but most of the canyon is inaccessible except by a rafting trip on the river. Three-day white-water rafting trips leave from Cusco, but it is a four-drive from Cusco before you get to the river. The next three days are nothing but nature, and you will interact with the force and beauty of nature at a primal level. Almost immediately after setting off, the black canyon walls rise steeply on both sides. The narrow canyon is up to 3,000 metres deep in parts – more than double the Grand Canyon in the U.S. Andean condors are common here and are often seen as tiny dots circling far overhead. There are plenty of moments in which to enjoy the beauty and grandeur of the canyon, but it is the rapids that really take your attention. 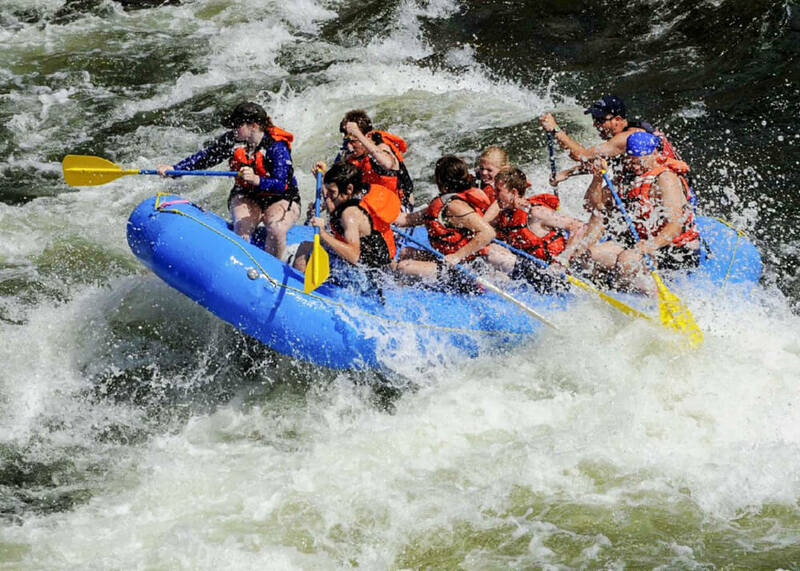 The river traverses multiple rapids, from pleasantly bumpy Class II and Class III rapids to Class IV rapids, which will get your adrenaline pumping and require an expert to guide you through. However, it doesn’t stop there. There are also several Class V rapids on this trip (for reference, Class VI rapids are basically waterfalls and can’t be navigated at all) – this is pure insanity and not for the faint-hearted! The river plummets several metres in a dramatic chute of water, then there is total mayhem of water splashing, frantic paddling and bumping and rocking. It is not uncommon to be tossed into the maelstrom and be fished out when you have floated into calmer waters. It’s crazy, but also great fun! This trip is considered to be one of the top ten river rafting trips in the world for good reason, and so is definitely one of the most exciting things to do in South America for adventure lovers. Located in the Amazonas region of North Peru, Chachapoyas isn’t the easiest place to get to. A 22-hour bus ride from Lima or a more manageable 12 hours from Trujillo, Chachapoyas is worth the effort. The town itself isn’t that special, but the surrounding gems more than make up for it. Kuelap is an archaeological site high in the mountains close to Chachapoyas. Built by the Chachapoya people in between the sixth and sixteenth centuries, it could be as much as three times older than Machu Picchu, but it is far less visited. The Chachapoya were also known as Cloud People, and when you look around at the mountain views from the site you understand why. A huge wall surrounds the fortified city, and inside, the trees and plants are starting to reclaim the remains of the terraces and buildings. A recently opened cable car has made access to Kuelap much easier, although it does take away a little from the magic of it all! If you are interested in the history of the Chachapoya people you can also visit the Karajia Sarcophagi, where some Chachapoya mummies were found. 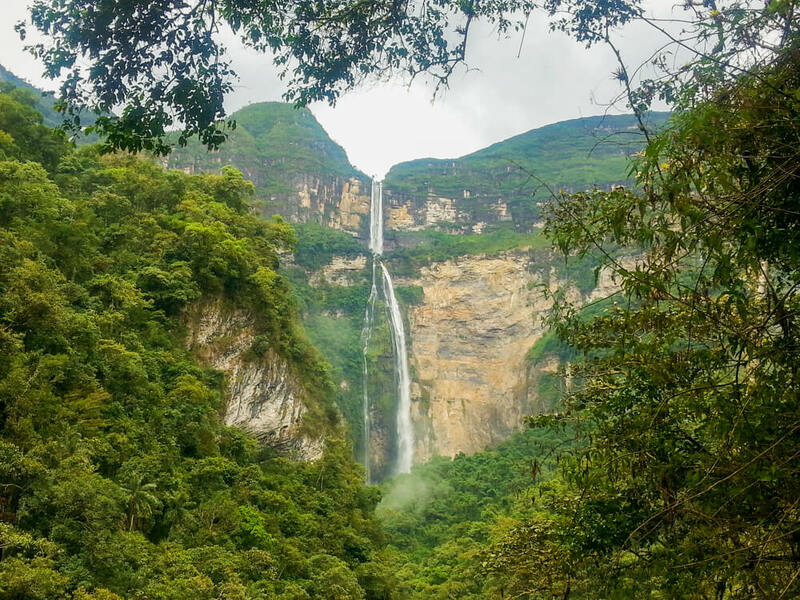 The other stand out attraction near Chachapoyas is Gocta Waterfall. Tours to Gocta are easily arranged from Chachapoyas, or you can take a public minibus part way and hike for three hours to the waterfall yourself. Once considered the 3rd highest waterfall in the world, changes in how the waterfall is measured have reduced it to fifteenth place. No matter how you measure it, Gocta is still very impressive indeed. The hike to the waterfall isn’t difficult, but you can hire a moto taxi or a horse to take you part way if you’d prefer. Tours to Gocta include transport part way too, which are good value considering getting back to Chachapoyas by public transport is a challenge! Click here to see the accommodation options in Chachapoyas! Contribution by Tales of a Backpacker. Huaraz, in Northern Peru, is a must visit if you love hiking or trekking. Located at an altitude of 3,052 metres and surrounded by multiple mountain ranges, it’s considered the adventure capital of Peru. Many trekkers spend at least a few days here to acclimatise before venturing out on one of the many multi-day treks the region has to offer. The best time to visit is in July or August, when the days are long and the mountain passes are open. It’s the perfect time for trekking. Some of the best short treks from Huaraz include Laguna Peron, Laguna Aguak, and Laguna 69. Many trekkers end up in Huaraz to do the popular Santa Cruz trek that takes 3-4 days. If you have more time, the Huayhuash Trek is an 8-14 day trek that goes through the heart of the Huayhuash Mountain range and is one of the most underrated multi-day treks in Peru. There is also some amazing sports climbing in Hatun Machay, a short drive from Huaraz. For something a little more cultural, the ruins of Wilcahuaín are a 2 hour walk from the town – making for a great acclimatisation hike. The ruins here date back to 900AD and are an example of a pre-Columbian building in Peru. How to get here: Huaraz is approximately an 8-hour coach drive from Lima. You should be able to take get here using any of the major coachlines in Peru (e.g. Movil Tours, Ormeño, Cruz del Sur). Once in Huaraz you’ll find that the town is perfectly setup to be your outdoor adventure base for a while. There are plenty of accommodation choices, western-friendly restaurants, and stores to rent/buy outdoor gear. There are outfitters in Huaraz offering quality guided treks if you want. Taking a guide on multi-day treks is highly recommended is the terrain is rough and weather unpredictable. Click here to check out some great accommodation options in Huaraz! Contribution by Jack and Jill. Paramaribo may be a capital city but it is still definitely off the beaten track. Suriname is the smallest sovereign state in South America and is on the northern coast tucked between the other two Guianas. Your choices to get here include overland from Guyana or French Guiana or flying in. It is easy to get to Paramaribo overland from Georgetown or Cayenne but from other destinations, you will be better off flying. In fact, it can feel like an adventure just getting to Paramaribo. Paramaribo itself is a great place to visit thanks to its uniqueness. It feels more Caribbean than South American with its wooden architecture. It is a lovely place to take a stroll or have a drink by the river. It is a UNESCO listed World Heritage Site and the streets are lined with gorgeous colonial age house and trees. Things are well maintained and litter free. There is a relatively large market area and the city, despite only having a population of 241,000, feels very alive (except on Sundays). It also feels laid back and like a big country town. I think it may be the nicest capital city in South America. It does also feel like a big melting pot of cultures with a mix of Creole, Indonesian, Maroon, Amerindian, Lebanese and Chinese people, as well as the Dutch colonial background. Paramaribo is proud of its racial harmony and the fact that a synagogue and mosque sit side by side. Even just walking down the street, we saw signs in many different languages. There are not any must do attractions but there are plenty of nice places to go like Independence Square, Fort Zeelandia and Palmentuin – the city’s public park. There is a range of accommodation, shopping and eating options in Paramaribo, so it is a very easy place to be. If you want an off the beaten path Amazon adventure, this is also the place to be. You can do some truly amazing trips from Paramaribo (but expect it to be pricey). 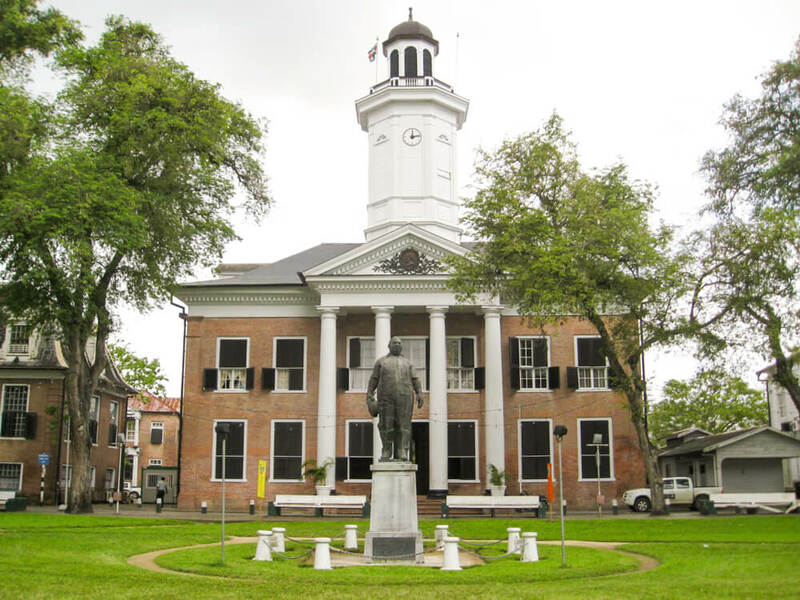 Paramaribo is the perfect place to go for your off the beaten track adventure! Click here to check out the latest deals on accommodation in Paramaribo! Contribution by Simpler & Smarter. Founded in 1680 by the Portuguese, Colonia del Sacramento is one of the oldest towns in Uruguay. Nowadays, it’s home to about 27,000 people and is a popular weekend escape for Argentineans. 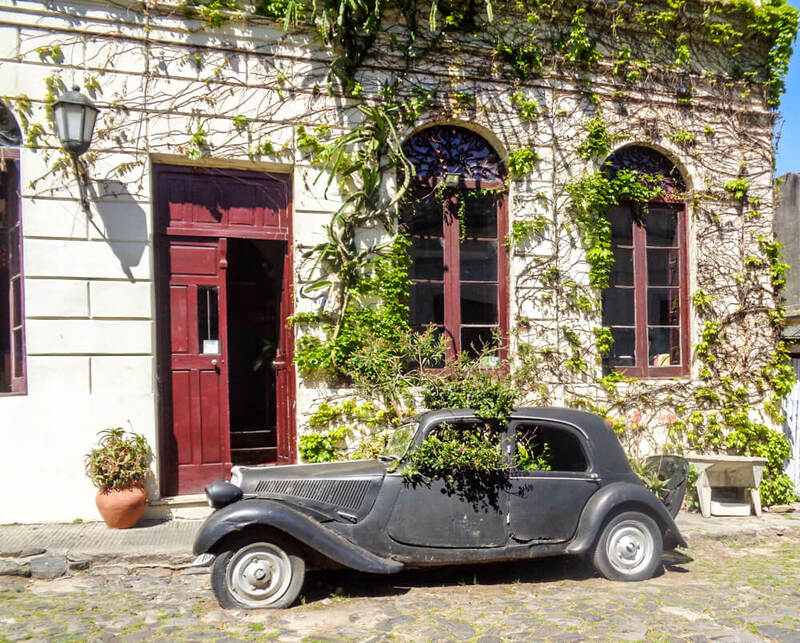 If you’re looking for a day or two in an easy-to-reach destination full of history and good food, Colonia del Sacramento is an excellent choice. Colonia is separated from Argentina’s capital Buenos Aires by the Río de la Plata. Therefore, it’s easiest to get there by ferry. The companies Buquebus and Colonia Express both operate several times a day between Argentina and Uruguay. If you come from Montevideo, you simply buy a ticket at the bus terminal. There are numerous buses to Colonia, so there is no need to buy a ticket in advance. The historic centre of Colonia was declared a UNESCO World Heritage Site in 1995 for its well-preserved buildings from the 18th and 19th centuries. Many of these buildings house restaurants and cafés nowadays. Sitting there and observing your surrounding will make you feel like being on a trip to the past, but be aware that Colonia is not cheap as far as food is concerned. Colonia is tiny, so you can explore the whole city within a couple of hours. Staying for a night is worth it if you would also like to take a walk along the coastline of the Río de la Plata or visit one of the local wineries nearby. What I really liked were the numerous old cars either just parked somewhere but often remodelled as mini-cafés (yes, you could actually get inside and sip a coffee) or as a home for plants. Colonia also has a small lighthouse which you can climb to have an overview of the city and the river. Differentiating Uruguayans from tourists is easy: all Uruguayans, regardless of age and gender, carry a thermos jug with hot water and a mate cup with them (mate is a popular South American drink). I always associated mate more with Argentina (where it is very popular too) but I’ve never seen more people drinking mate in public than in Uruguay. Very nice habit. Here’s an extra tip if you plan to spend time in Argentina after visiting Colonia del Sacramento: In Uruguay, you can withdraw Uruguayan pesos and US dollars from ATMs. Considering Argentina’s high inflation rate in combination with enormous withdrawal fees, it makes sense to stock up your dollars before going (back) to Buenos Aires. Click here to find great accommodation deals in Colonia del Sacramento! Contribution by Digital Nomads Peru. Canaima National Park, located in the south-eastern corner of Venezuela, is home to many natural wonders. 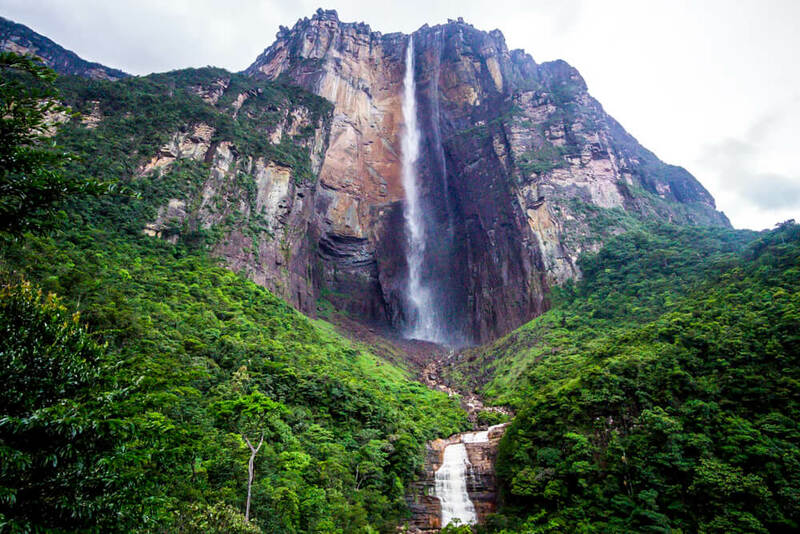 One of them is Angel Falls, the tallest waterfall in the world. While other waterfalls, such as popular Iguazu Falls between Brazil and Argentina, are very easy to visit, Angel Falls is truly off the beaten path. It is not a trip for spoiled tourists lacking an open mind. First, you need to fly into Canaima National Park and Canaima village on a small, usually 6-person, plane. Most of your things will stay at the camp where you return to, but all you need at this point are a few essentials for an overnight stay in the jungle. A wooden canoe will take you upstream through the thick jungle which takes around 3 hours. As you’re travelling upstream, the canoe creates a lot of rapids and you will most likely get soaked – but that’s all part of the fun! After only about a 30-minute hike slightly uphill you will arrive at Angel Falls. There are no hotels, nobody selling souvenirs and most likely no other people than your group. If you’re lucky, you can hear howler monkeys and swim right underneath the waterfall during the dry season. I can tell you that swimming in the middle of the jungle whilst looking almost 1 kilometre above to the world’s tallest waterfall is a moment you’ll never forget. 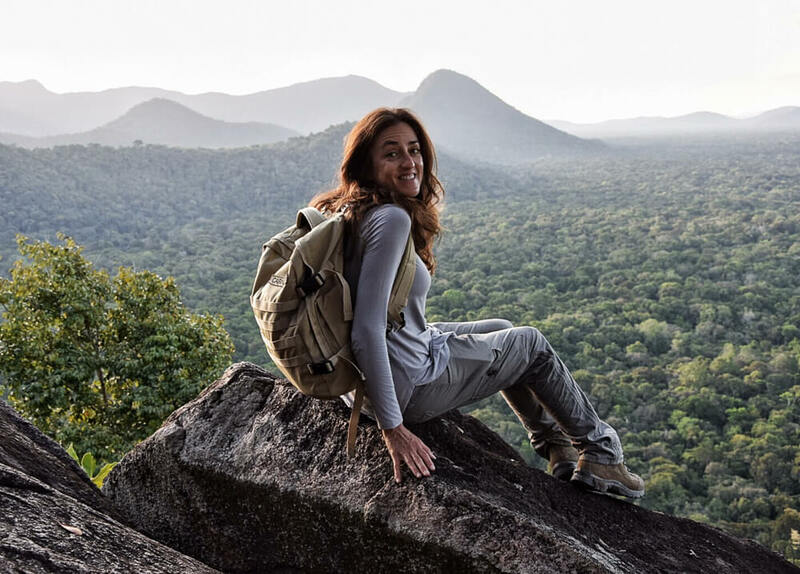 Another thing to do in Canaima National Park is a trek to Mount Roraima – a table mountain considered to be one of the oldest geological formations on Earth. The trek starts in Santa Elena from which a jeep will take you to Paraitepuy village. It usually takes 6 days to cover 64 kilometres including the tabletop. That’s where the secret of this trek lies. The moon-like surface with endless rock formations hides secret caves, pools, crystal valley with quartz crystals, rare plants and endemic animals, such as black frogs, tarantulas, and snakes. Canaima National Park has many breathtaking places and these are just 2 of them. If you’d like to visit Venezuela, I suggest you do thorough research first. The country is currently in an economic crisis and so is not the easiest place to visit, but if you’re looking to adventure off the beaten path it’s well worth it. I’d recommend visiting from Brazil as it’s very close to the border with Venezuela. Contribution by Travel With The Smile. When you think of pristine white beaches and crystal-clear waters, where is the first place that springs to mind? The Maldives? St Lucia? Maybe the Mediterranean? Well, what if I told you there’s a little stretch of paradise hidden away somewhere you’d least expect it? Somewhere very few people explore. With all its trouble and strife, it’s easy to forget that Venezuela is situated in one of the most beautiful parts of the world. Though geographically located in South America, Venezuela shares a stretch of coast with the Caribbean Sea and as a result it is home to some of the most spectacular coastal areas, islands and islets that truly will take your breath away. One such area is the Morrocoy National Park (Parque Nacional Morrocoy). Spanning across 32,090 acres, this national park is unique in that it covers the mainland area, the sea and a selection of idyllic little islands known as cayos. 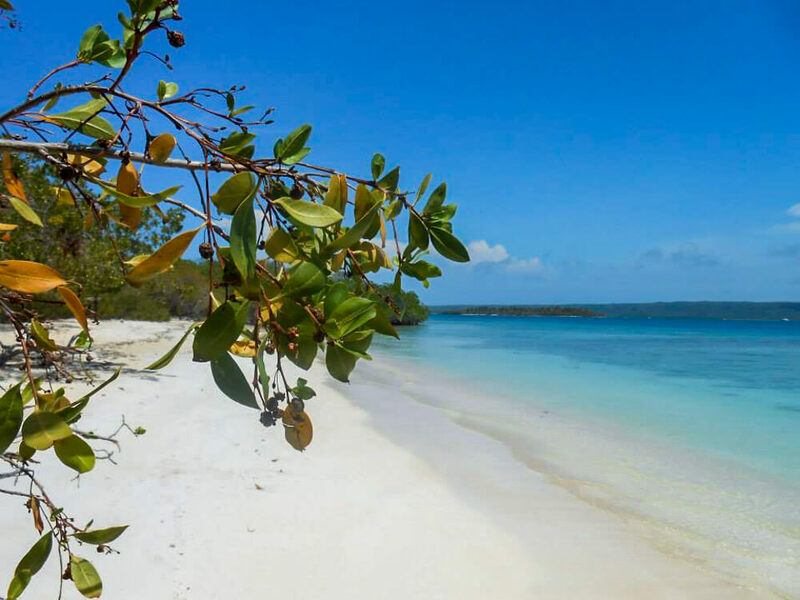 Some of the cayos are a lot more popular and frequently visited than the others, so it’s worth doing your research before deciding which ones to visit. The smaller the cayo, the less visitors. Although saying that, even on the most popular island, Cayo Sombrero, I was able to escape the few other tourists by simply walking through the trees to the other side of the island, finding my own secret paradise. Due to its position as a Protected Area, Morrocoy National Park is a haven for wildlife, both land and sea-dwelling. Some of the most endangered species in Venezuela can be found living comfortably within the Park, including the pelican, flamingo and coastal alligator. There’s also an abundance of the more common South American animals – sloths, howler monkeys, opossums and much, much more! Although there’s not so much to do in Morrocoy National Park beyond enjoying the wildlife and basking in the wonderful Caribbean sun, there are some incredible snorkelling opportunities and nearby caves to explore. The most interesting of the caves are definitely the Indian Caves, which contain centuries-old hieroglyphics carved into the walls. There are very few accommodation options within the park itself (and it can be quite expensive!) so the best place to stay is the small town of Chichiriviche. From here you can take one of the regular taxi-boats out to the cayos or caves, or alternatively rent a private boat and decide your own schedule. Contribution by Wales to Wherever. Like this list of 23 underrated travel destinations and off the beaten path spots in South America? Pin it!